What Is a Brown Anole? Brown anole can be fed crickets. An anole is a type of small lizard nicknamed “American chameleon” for its ability to change the color of its skin. More than 370 known species of the scientific family Polychrotidae have been identified throughout the subtropics, but there is only one species — the Green anole — native to North America. While several non-native species have established themselves in the U.S., none has been more successful than the Brown anole, originally from the islands of Cuba and the Bahamas. Both the Green, sometimes sold as “Carolina anole,” and the Browns are popular terrarium pets. The scientific genus and species name for the Brown anole is Anolis sagrei. When the Caribbean region became the staging ground for early European exploration and colonial expansion, the lizards hitched a ride aboard ships and likewise spread. In the U.S., they have migrated as far as the states of Texas, California and Hawaii. In the state of Florida and the general southeastern region, it is considered a problematic invasive species that has had a negative impact on the native Green anole population, which is nearing a total displacement. Anolis sagrei is highly adaptable to new habitat, reproductively proficient, and aggressively territorial. To compound the matter, a Brown anole will eat Green anoles, other lizards, lizard eggs and anything else that it can grasp in its surprisingly strong jaws. More commonly, its diet consists of larval worms and insects such as crickets and spiders. Like some other cold-blooded reptiles, anole lizards shed old, dry skin either to accommodate enlarged growth or regulate body temperature. Like many other lizards, an anole can also detach a section of its squirming tail to detract and escape predators. Ever opportunistic, Brown anoles are even known to eat their own detached tail and molted skin. The ability to sever their tails is a defense mechanism from natural predators such as rodents, snakes and birds. A new tail is regenerated. As an added defense, an anole will urinate and defecate to ward off attackers with the stench. It will also bite and stubbornly not let go until a predator has given up and relaxed into submission. In part for defense, but believed to be more for its own predatory purpose, the Brown anole can change the coloration of its skin, as well as the geometric diamond patterns on its back, to varying shades of brown for camouflaging itself within its surroundings. Males sport a colorful burgundy dewlap — a semicircular flesh hanging down from the throat that is prominently displayed during courtship of females. Males grow to 7 inches (18 cm) in length; females are slightly smaller. They are mainly active during daylight and mostly arboreal, preferring trees and bushes which suit their ability to climb vertical surfaces. Caring for anoles is relatively easy; they are widely considered by aficionados of reptiles to be good “starter” pets. 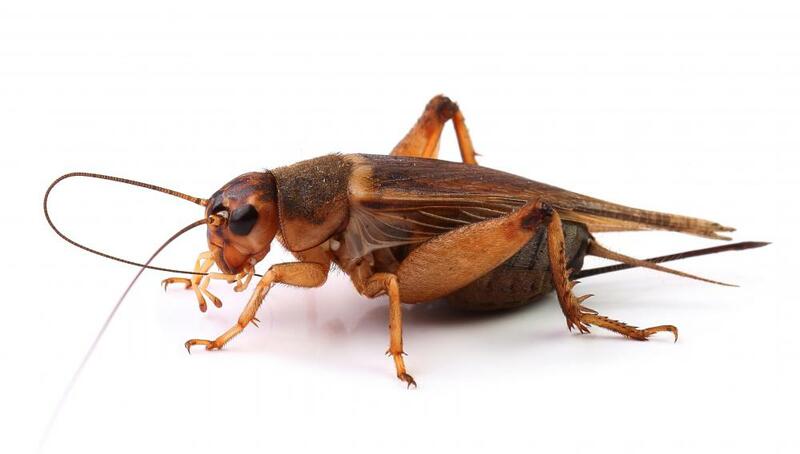 Feeder crickets can be purchased at most pet stores. Although they derive adequate water from solid food, a drip system might be well advised, or alternatively, misting their enclosure twice a day with a spray bottle. The Brown anole prefers a terrarium of at least 2 cubic feet (61 by 61 by 61 cm) that is both humid and warm. With proper care, they may live from four to eight or more years. What Are the Different Types of Chameleon Habitats? What Is a Knight Anole? What Is a Bark Anole? What is a Green Anole? What are the Different Types of Lizard Species? How do I Care for an Anole Lizard? How do I Keep Lizards As Pets?